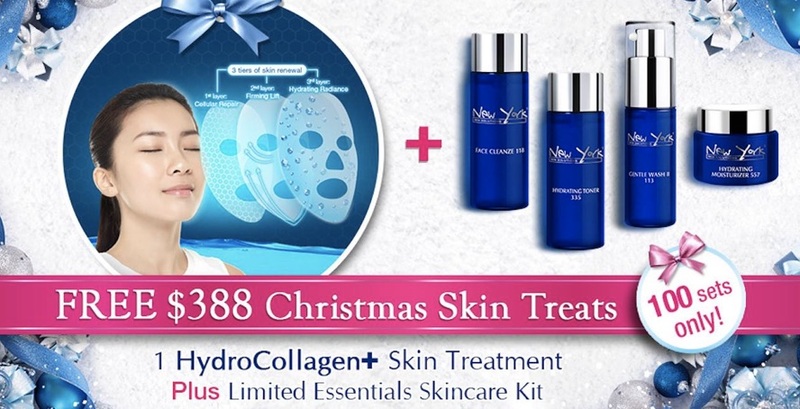 Take part in the New York Skin Solutions Christmas Giveaway and stand a chance to win a free HydroCollagen+ Skin Treatment & a Limited Essentials Skincare Kit worth $388. Terms and conditions apply. Click the website link below for participation details. 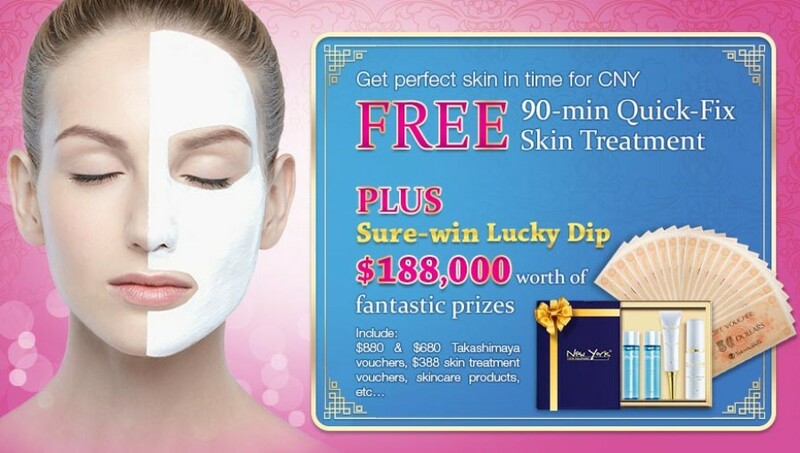 Free 90 mins quick fix skin treatment at New York Skin Solutions this CNY.